Winter is finally leaving us here at Rabbit Hill, and our grand eating adventure is coming to a close. After enduring downed trees & power lines, blizzards & gales, broken plows, heaters and nearly six months of snow, we’re ready for a summer party! Please join us for Maine Open Farm Day on July 26. 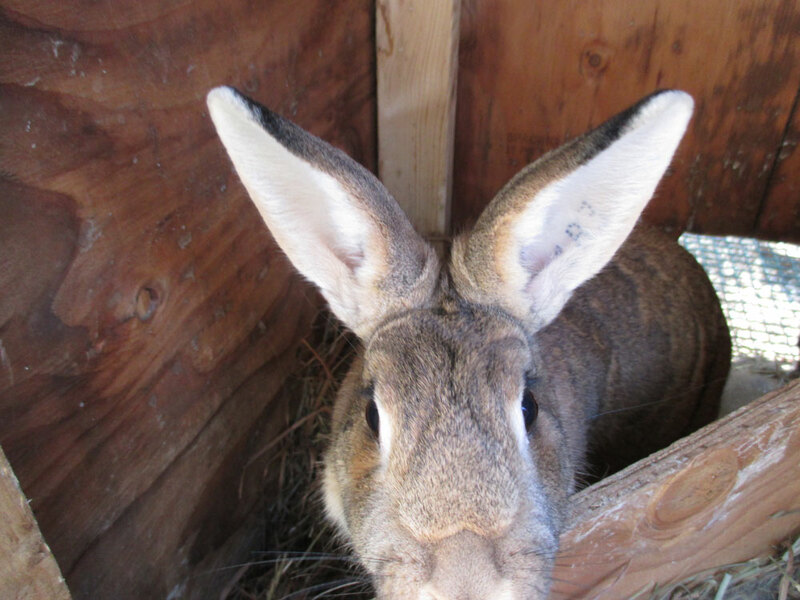 Rabbit Hill Farm is a diversified certified organic farm, cider orchard, and rabbitry. 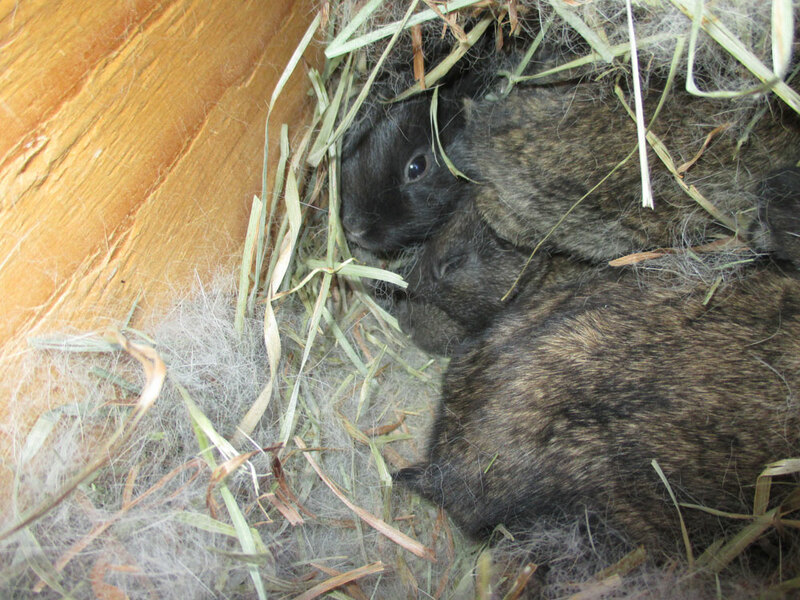 The rabbits, raised for meat and fiber, are an important component of the farm’s unique soil-building technique. Farm crops like cucumbers, asparagus, beans and apples were the inspiration for Cheryl Wixson’s Kitchen. Events scheduled include rabbit feeding (great for kids), a farm tour with soil building techniques, and a clamming demonstration. Enjoy samples of Deer Isle Clam Fritters or Rabbit Hill Corn Fritters with Organic Maine Apple Ketchup. Watch here for details and directions. This is a bittersweet month for me: time to bid farewell to my shareholders, and welcome the next harvest season. As our family has worked to build the company and a sustainable food system, we have encountered many “winter” challenges. We appreciate your help and support. Continue to vote with your fork! 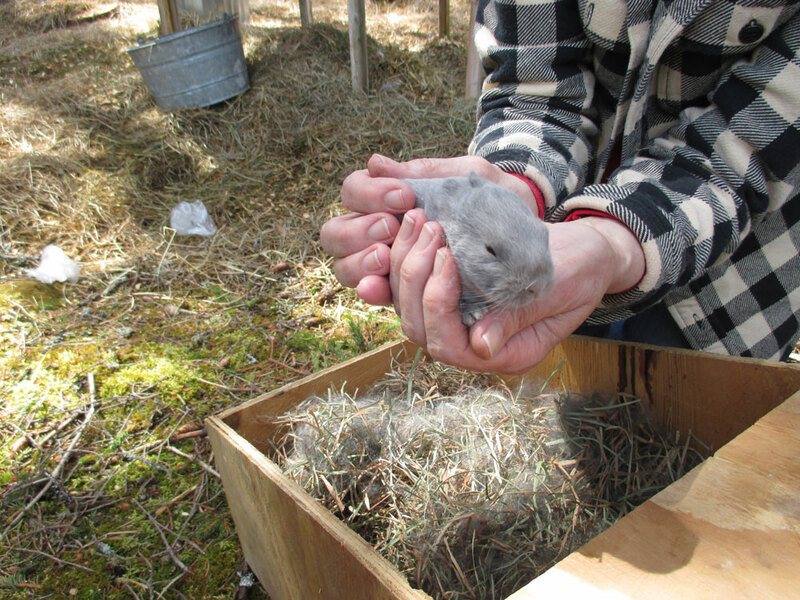 It has been a long, cold winter on Rabbit Hill. 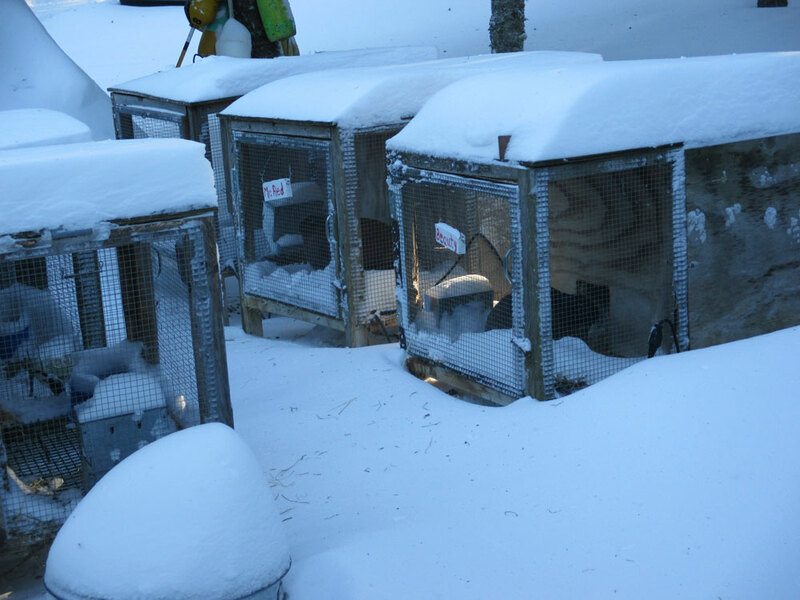 The hutches outdoor areas had almost as much snow on them as my deck! What beautiful harbingers of spring. So soft and tiny. What sweet faces. Mother is patient with me as I check out her litter. Kits huddle close to stay warm and comfortable. PLUM SAUCE: This venture into a different cuisine is an encore from last season when we processed almost 100 pounds of plums from Winter Green Herbs and Vegetables in Winslow. Kate’s farm is located on the Garland Road…the same neighborhood in which our family operated a dairy farm for years. Enjoy with your favorite spring rolls, or it is tasty spread on a sandwich. Try roasting pork tenderloin smothered with Plum Sauce. YUM! PIZZA KIT: Back by popular request from many shareholders, even my mother, who never uses mixes, likes to keep this handy in the pantry. The wheat berries come from Matt Williams at Aurora Mills in Aroostook County. Because this mix is made from freshly ground wheat berries and not treated with any preservatives, please enjoy within the month, or store in the refrigerator. MACOUN APPLESAUCE: The Macoun apple is a McIntosh x Jersey Black cross that was introduced by New York Station in 1923. Named after the Canadian fruit grower, W. T. Macoun, it has an almost cult-like following. My aunt, who grew up in Aroostook County in the 1930’s, has many fond memories of this apple, which is popular from Maine to California. It is an extremely juicy apple, with a crisp, white flesh and a sweet and aromatic flavor. The correct pronunciation rhymes with “town” (not tune). ENCHILADA SAUCE: Although this product is too costly to make it to your local retail shelf, we did want to share the wealth. Roasted red peppers and tomato puree are simmered with garlic scapes and jalapenos. We brought the heat up just a bit with Ancho Pepper powder. 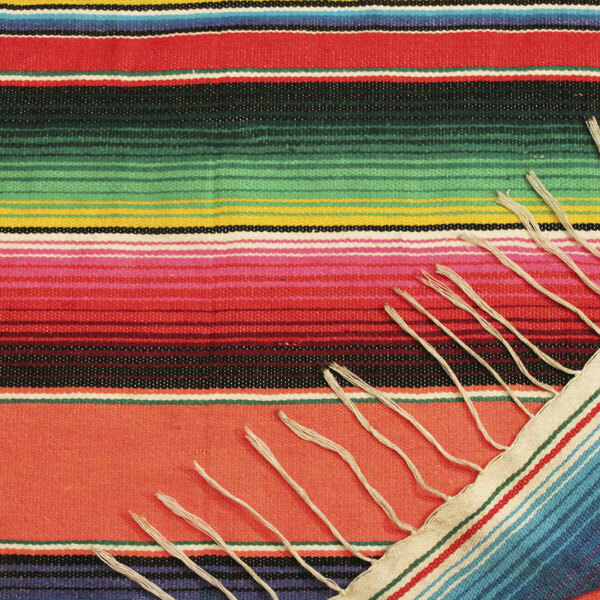 This sauce is perfect to make, well, enchiladas. Think outside the box and try the Chicken Enchilada Pizza. Preheat the oven to 350 degrees F. Grease a 12-cup muffin tin. In a medium bowl, whisk together the fl our, cinnamon, baking powder and baking soda. Fold in the grated carrots. In a small bowl, whisk together the applesauce, maple syrup, eggs, melted butter and vanilla extract. Add to the dry ingredients, stirring just enough to combine. Do not overmix! 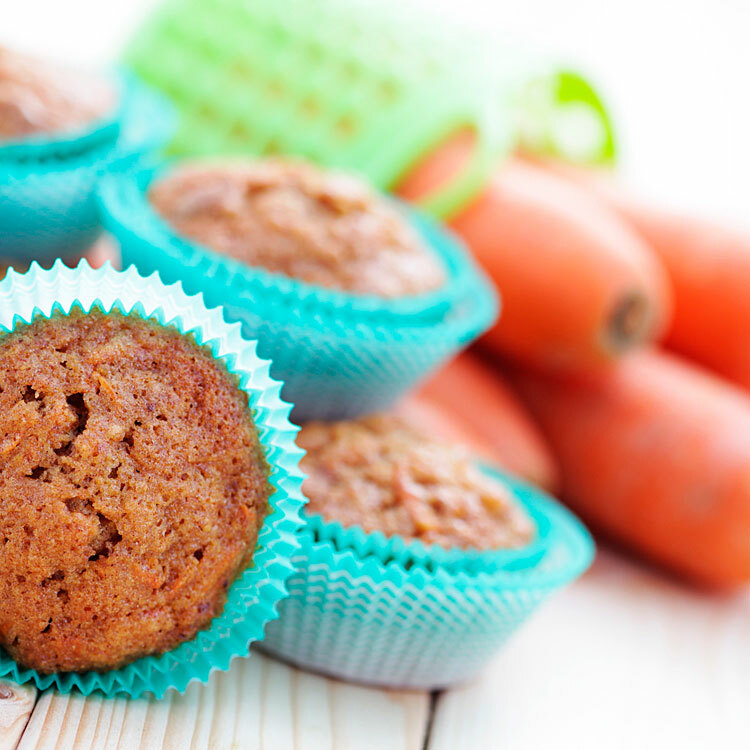 Spoon into the muffin tin and bake until a toothpick comes out clean, about 18 to 20 minutes. Nutritional analysis per muffin: 124 calories, 3.4 grams protein, 16 grams carbohydrates, 6 grams fat, 117 mg. sodium, 2 grams fiber. Don’t wait for a Mexican holiday to enjoy this easy- to- prepare omelet. The key is to have all ingredients ready before starting to cook! In a medium bowl, whisk together the eggs and milk. Season to taste with sea salt and fresh pepper. Coat a medium non-stick skillet with the fat of your choice. 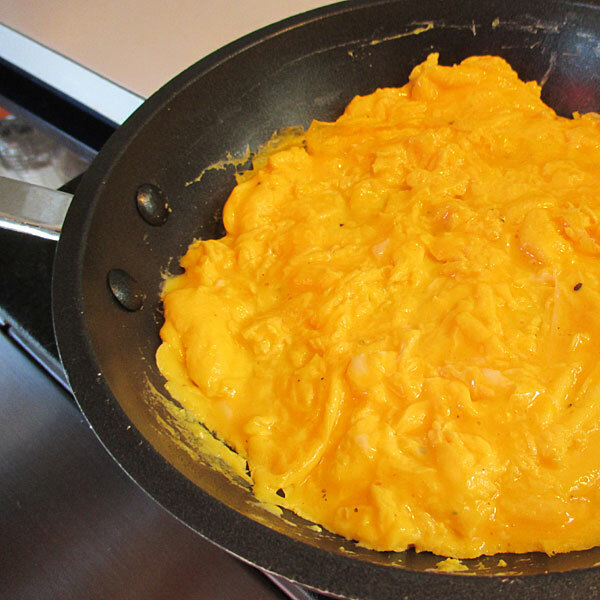 Cook the eggs over medium heat, stirring as if preparing scrambled eggs, until they are almost set. Smooth the mixture evenly in the pan. Spread the Emily’s Taco Salsa over the eggs, then sprinkle the cheddar cheese over the top. Cover the pan, turn off the heat, and let sit until the cheese has melted and the omelet has completely set. 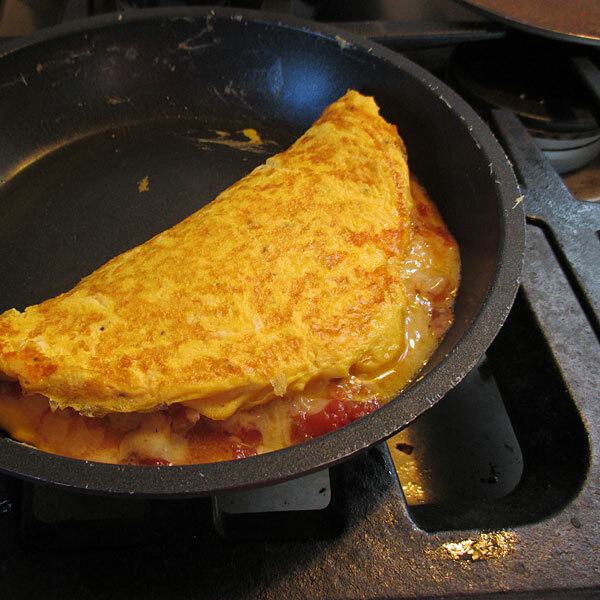 Carefully fold the omelet in half, and transfer to a heated serving platter. 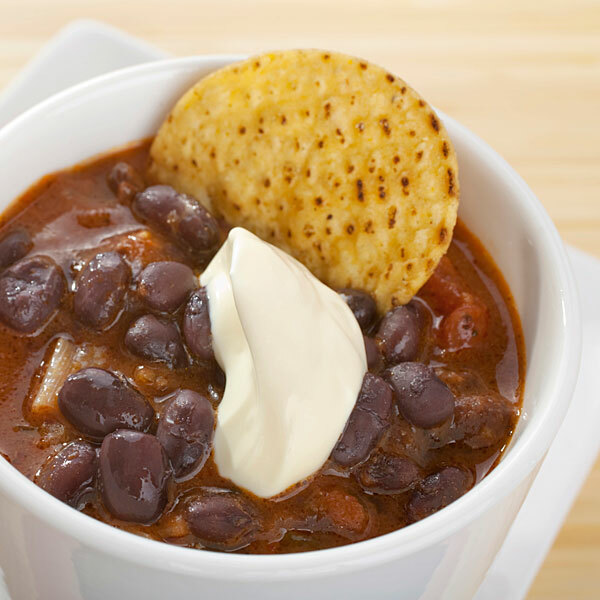 If desired, serve with more Emily’s Taco Salsa, warm black beans and corn bread. Makes four servings. Nutritional analysis per serving: 182 calories, 13 gram protein, 2 grams carbohydrates, 13 grams fat, 271 mg. sodium, less than 1 gram fiber. In a heavy soup pot, heat the oil and add the onions. Cook until they start to soften. Add the chopped garlic, chili powder and cumin. Cook for about another minute, stirring frequently. Add the beans, water and salsa. Bring to a boil and simmer for about 10 minutes. Transfer about ½ of the soup to a blender and puree. (Use caution when blending hot liquids) Stir the puree back into the soup. Season to taste with sea salt and fresh pepper. Serve with corn chips and more Emily’s Taco Salsa. Nutritional analysis per serving: 191 calories, 9 grams protein, 31 grams carbohydrates, 4 grams fat, 408 mg. sodium, 9 grams fiber. Nutrition bonus: Folate, iron, potassium, and Vitamin C.
Combine in a blender until the ice is smooth. Serve with a lime wedge and a straw. This pizza would be tasty with smoked turkey or rabbit. Double the recipe, make 2, and freeze one to enjoy later! Preheat the oven to 425 degrees. Sprinkle a 12-inch pizza pan with cornmeal. Fit the dough to the pan, and brush the dough with olive oil. Layer the pizza ingredients, finishing the pizza with a sprinkling of grated cheese.